At a June 18, 2013 Senate Finance Committee hearing, leading health care experts and U.S. Senators explored the high and variable cost of health care in America, as part of a special Senate Committee on Finance hearing on health care transparency.During the hearing “High Prices, Low Transparency: The Bitter Pill of Health Care Costs,” Castlight Health co-founder and CEO, Giovanni Colella, M.D., Suzanne Delbanco, Ph.D; and Paul B. Ginsburg, Ph.D. debated policy solutions for improving transparency into the cost and quality of health care. The witness panel for the hearing also included Steven Brill, JD, the author of the March 2013 TIME magazine article, “Bitter Pill: Why Medical Bills Are Killing Us,” which highlighted several examples of high costs and inefficient use of resources among health care providers. In the article Brill (founder of CourtTV) detailed the internal “chargemaster” lists that hospitals use as a baseline to set the price of their services. "By any definition, this is no one’s idea of a functioning market place," Brill said in testimony (see below). "In a functioning marketplace prices are based on something that is explainable – whether it’s the cost of producing the product, the laws of supply and demand, or the quality of the product. In this marketplace, no one can explain a hospital’s charge of $77 for a box of gauze pads, or $18 for a diabetes test strip that can be bought on Amazon for about 50 cents." "Obamacare does nothing about these prices, nothing to solve this problem. Zero," he said. "My theory is if you don’t mess with the profits of the key players in the industry, you get to get your bill through Congress." No senator at the hearing disputed the need for more transparency on medical expenses. "The chargemaster is like the sticker price of a new car—it’s inflated," said Senate Finance Committee Chairman Max Baucus (D-MT). "But unlike new cars, some people have no choice but to pay the chargemaster price." Thank you for inviting me today to discuss what I found when I decoded and examined seven random medical bills, line by line, for a special issue of TIME Magazine. In the debate over Obamacare and health care reform generally, I had been frustrated that the conversation was mostly about who should pay the high cost of health care – rather than why the cost is so high. My goal, put simply, was to help start that other conversation. So I decided to follow the money, line by line, to see who’s getting all the extra billions we spend in the healthcare marketplace for results that don’t justify the cost. I am happy to summarize what I found – which is that by any definition this is no one’s idea of a functioning marketplace. In a functioning marketplace prices are based on something that is explainable – whether it’s the cost of producing the product, the laws of supply and demand, or the quality of the product. In this marketplace, no one can explain a hospital’s charge of $77 for a box of gauze pads, or $18 for a diabetes test strip that can be bought on Amazon for about 50 cents. No one can explain a supposedly non-profit hospital’s $13,702 charge to an underinsured small business owner -- whose family income is about $40,000 -- so that he could get his first dose of a cancer drug that cost the hospital $3,500 and cost the drug company, whose gross profit margins are 90%, a few hundred dollars to make. No one can explain a $995, four-mile ambulance ride, or an $87,000 bill to a retail worker for a few hours of outpatient care. The bill included $3.00 for the magic marker that marked the spot where a neuro-stimulator 2would be inserted into his back. He was then charged $49,000 charge for the neuro-stimulator, which cost the hospital about $19,000. That $19,000 was in turn paid to a company whose gross profit margin is nearly double Apple’s, meaning it cost the company about $4,500 to make the product for which the retail worker was billed $49,000. I should add that this bill, like all the others I examined, was full of acronyms and numerical codes and just plain gibberish that took hours to figure out, line by line. The magic marker, for example, was a line labeled “MARKER SKIN REG TIP RULER,” and that was one of the easier items to decode. In this market, no one can explain why a part time school bus driver was charged – and then successfully sued into paying --$9,400 after she slipped and fell in her backyard and spent a few hours in the Bridgeport Hospital emergency room, where among the charges was $239 for a routine blood-test that Medicare – which pays hospitals based on their actual costs --would pay $13.94 cents for. No one can explain why the laws of supply and demand or economies of scale don’t work – why, if anything, they work inversely. For example, the sale and distribution of expensive diagnostic imaging equipment, such as CT scans, has more than tripled in recent years, but the prices charged for these tests have escalated sharply, with even Medicare -- forced to do so by a heavily-lobbied Congress -- now paying four times as much for these tests as the German health care system does. No one can explain anything about what I discovered was a massive internal price list called the chargemaster, which all hospitals have but which vary wildly, hospital by hospital, and have absolutely nothing to do with quality. Nor can anyone explain why the chargemaster’s sky-high list prices are charged mostly to those least able to pay, the uninsured or the underinsured. And no one can explain why the discounts that insurance companies pay to hospitals and other providers off of the chargemaster vary so wildly, which, of course, affect that co-payments and deductibles paid by patients lucky enough to have insurance. Finally, no one can explain how by far the largest consumer product in our economy – healthcare, which is approaching 20% of our GDP – is so un-consumer friendly that it has spawned a growing cottage industry of patient advocates who read and translate chargemasters for patients and try to negotiate for them. They don’t have to explain because they have all the information and all the power. Indeed, this is no marketplace at all, if we define a marketplace as involving buyers and sellers who enter into transactions with something approaching a balance of power. For in the healthcare nonmarketplace the buyer has no price information and no leverage to do anything it about even if he or she did. The buyer has typically entered that marketplace unwillingly and under great stress. He or she is sick and needs medical care. That school bus driver didn’t wake up one morning and say to herself, “I wonder what they have on sale over at the emergency room today. Maybe I’ll go have a look.” Instead, when she involuntarily became that hospital’s customer, she not only had no price information, she also had no choice. She paid for whatever procedures, lab tests, CT scans and anything else she was told she needed, whether she needed it or not, at whatever price she later found the unintelligible chargemaster had spit out on her bill. The result of this lopsided sellers’ market, I found, is that the world of healthcare economics has become an economy apart from the economy the rest of us live in. While things have been tough for most Americans in the last half-decade, those who run hospitals or sell CT scans or prescription drugs or medical devices have thrived like never before, as if living in an alternate universe. The only exceptions are the nurses and most of the doctors who actually provide health care. Here’s an illustration of that alternate universe. In recent years we’ve become concerned about the high costs and high salaries associated with higher education. Let’s compare higher education to health care. The Bridgeport Hospital, which sued that part time school bus driver, is part of the Yale New Haven Hospital system. The head of Yale New Haven makes $2.5 million -- 60% more than the president of Yale University. That’s a phenomenon I found repeatedly across the country where a major university is associated with a hospital, be it Duke, Stanford or the University of Texas. 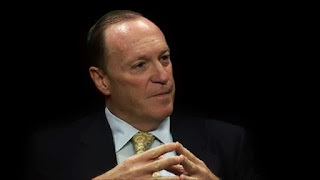 Here’s another telling example: the head of fund raising at New York’s Memorial Sloan Kettering Cancer Center makes $1,483,000, while the head fundraiser at Harvard, which raises lots more money, makes $392,000. Lest you think the difference is related to New York’s higher living costs, the chief fund-raiser at the Metropolitan Museum of Art in New York makes $345,000. Oklahoma City is where the ironically named Sisters of Mercy hospital charged that man with the back pain $3 for the magic marker and $49,000 for his neuro-stimilator. Sisters of Mercy Oklahoma City is part of a highly profitable $4.2 billion chain of hospitals that has seven executives earning more than $1 million each and employs a multi-state bill collection firm to bring lawsuits against patients across the Midwest. The Stamford Connecticut hospital is actually a bigger business than the city of Stamford, itself. It takes in more in patient billings than the city collects in all of its taxes – and even after paying a slew of high salaries to its executives, including $1.86 m to its CEO, it had an operating profit of $63 million – a healthy $12.7% margin. Not bad for a non-profit. So that’s what I saw when I followed the money. What can or should we do about it? Some changes are obvious. The first, of course, is transparency. None of this will change until we can see it all, so that those involved can be asked to answer for these profits, these salaries, those $77 gauze pads, those outsized margins on drugs and medical devices and the irrational differences in prices not only among hospitals but among the prices paid by patients and even by insurance companies to the same hospital or diagnostic clinic. But transparency can only go so far. Take the case of the man who was asked to pay the MD Anderson Cancer Center – in advance – $13,702 for that transfusion, plus $70,000 more for other charges, including the $77 for the gauze pads. Suppose he knew that the drug cost the hospital only $3,500. Suppose he also knew that the drug cost the drug company just a few hundred dollars to make, and that the drug company had 90% gross profit margins. Suppose he even knew he was about to get soaked for $77 for the gauze pads or $15,000 for various lab tests that Medicare would pay a few hundred dollars for. So what? What could he do? He could literally feel the tumor growing in his chest, his wife told me. He was desperate for his check to clear; in fact, they kept him waiting downstairs, unable to receive his first transfusion, until it did. All the transparency in the world couldn’t help him. Nor, I should add, would the marketplace he was in have been improved, as some suggest, if only he had ‘more skin in the game.’ He had 100% skin in the game; they made him pay for everything himself, upfront. Similarly, when I asked the wife of a terminal cancer patient facing more than $900,000 in bills what she thought about getting charged $18 each, or $1,584, for 88 diabetes test strips that could have bought on Amazon for about 50 cents each, she responded much as Mrs. Lincoln might have had she been asked whether she liked the play. “Are you kidding?” she said. “I’m dealing with a husband who had just been told he has Stage IV cancer. That’s all I can focus on . . .” She had, she said, just stuffed all of the bills into a box and didn’t look at them until after her husband had died. So, we need more than transparency. In that regard I should remind you of the math I did about a patient in Stamford with chest pains that turned out to be indigestion, but whose bill for a few hours in the emergency room was $21,000. She was, it turns out, 64 years and 11 months old. Had she been allowed to buy coverage from the one buyer in the marketplace with real information and market power -- Medicare -- she not only would have saved thousands of dollars but the taxpayers would have saved, too. Having her in Medicare at age 64 would cost the taxpayers a lot less than the Obamacare plan to subsidize what will be her much more expensive private insurance premiums. But giving everyone the chance to enroll in Medicare, thereby establishing it as the single payer, does not seem politically realistic, despite the math and despite what I found to be Medicare’s highly efficient performance compared to that of private insurance companies – performance that is mostly operated, I found, by private sector contractors. So what else can we do short of that? We have to do something because in a marketplace where buying is not voluntary, someone has to step in to regulate the sellers. We could consider requiring hospitals and everyone else to charge the same transparent prices to everyone. We could consider price controls on prescription drugs and medical devices, or limits on profits made by nonprofit hospitals. We could touch the third rail of Democratic politics by implementing sensible malpractice tort reform that will limit the number of unnecessary tests done on patients. And we could consider anti-trust enforcement against hospital systems that are increasingly consolidating with other hospitals and even buying up doctors’ practices and clinics to secure a lock on medical services, thereby forcing insurance companies to pay whatever these providers demand so that the insurer can have the hospital chain in its network. In short, transparency is important because it starts the conversation we have to have and didn’t have in the debate over Obamacare – which is what can we do about outlandish healthcare prices. I’m proud of the role that I played in starting that conversation. But it’s only a start. Once we follow the money, we have to act to stem the flow. As health IT advances continue regulations governing this space are likely to increase. 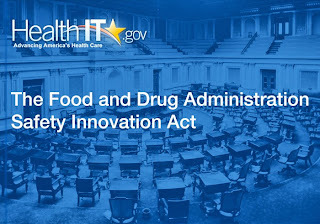 In an effort to involve stakeholders three agencies – the FDA, the ONC, and the FCC – are following a specific mandate under Section 618(a) of the Food and Drug Administration Safety and Innovation Act (FDASIA) to pursue a collaborative approach in regulating health IT. The three agencies formed the FDASIA Workgroup to gather industry intelligence that will help the HHS Secretary "publish a report [by January 2014] that will offer a proposed strategy and recommendations for an appropriate risk-based Health IT regulatory framework." And last week,the ONC, in coordination with the FDA and FCC, issued a notice of public meeting and request for comments that will inform the report's content. 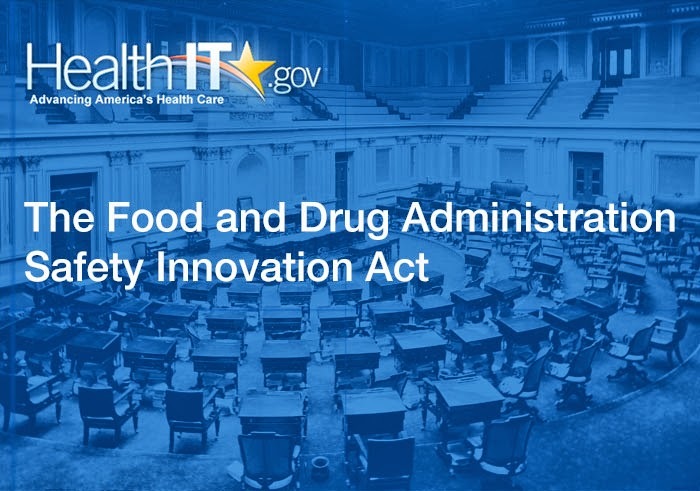 current areas of regulatory overlap among FDA, ONC, and/or FCC as well as approaches to avoid duplicative or overlapping regulatory requirements. Comments are due by June 30, 2013. The notice also announced in-person FDASIA Workgroup meetings that occurred May 30 and 31, 2013, in Washington, D.C. Over the two days, the FDASIA Taxonomy and Risk Assessment and Innovation subgroups made presentations, held open meetings, and conducted breakout sessions to discuss the progress they are making in gathering the intelligence needed to inform the health IT regulatory framework. You should review the presentations and consider whether to reinforce or refute any assumptions or approaches that the FDASIA is considering. Overall, the agencies appear to recognize that health IT regulation must catch up to innovation. Taking a measured approach to such regulation will hopefully ensure that innovation gets promoted and not stifled. This is an opportunity to participate in the formation of a regulatory framework for health information technology, so make your voice heard and submit comments HERE! I. 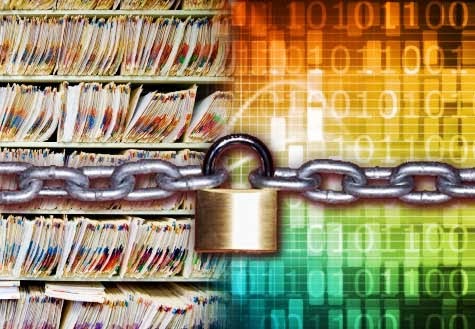 "Your Health Information Privacy Rights"
Consumers can ask to change any wrong information in their file if they believe that something is missing or incomplete. OCR states, "Even if the hospital believes the test result is correct, you still have the right to have your disagreement noted in your file." OCR summarizes how a consumer's health information can be used and shared for specific reasons not directly related to the consumer's care (i.e., "making sure doctors give good care, making sure nursing homes are clean and safe, reporting when the flu is in your area, or reporting as required by state or federal law"). OCR also tells consumers that they can make reasonable requests to direct their health care provider to contact them at a different place or in a different manner. For example, if the doctor's office usually sends a postcard with an appointment reminder, the consumer may request that the appointment reminder be sent in an envelope instead. II. "Privacy, Security, and Electronic Health Records"
OCR explains that electronic health records (EHRs) are electronic versions of the consumer's paper medical record and includes health information such as medical history, notes, diagnoses, medications, lab results, and immunizations. In the factsheet, OCR summaries the benefits of health care providers using EHRs. Consumers should expect "improved quality of care", "more efficient care", and "more convenient care." III. "Understanding the HIPAA Notice"
OCR provides a four step process for consumers to follow to make sure that they understand the "Notice of Privacy Practices" and their rights under HIPAA. Step 1: OCR encourages consumers to "Get a Copy of the Notice of Privacy Practices"
Step 2: OCR encourages consumers to "Read the Notice"
Provides the contact information about the doctor or insurance company's privacy polices. Step 3: OCR encourages consumers to "Ask Questions about the Notice or Your Rights"
Step 4: OCR encourages consumers to "Know What You are Signing"
HIPAA requires the consumer's doctor, hospital, or other health care provider to ask for written proof that he or she received the Notice of Privacy Practices acknowledgement of receipt. IV. "Sharing Health Information with Family Members and Friends"
OCR summarizes and provides examples of when a health care provider or health plan may share relevant information with family members or friends involved in the consumer's health care or payment for health care. The consumer is not present, and the provider determines based on professional judgment that it is in the consumer's best interest. The consumer's hospital may discuss the consumer's bill with his or her daughter who is with the consumer and has a question about the charges, if the consumer does not object. The consumer's doctor may discuss the drugs the consumer needs to take with the consumer's health aide who has accompanied the consumer to his or her appointment. The consumer had emergency surgery and is still unconscious. The consumer's surgeon may tell the consumer's spouse about his or her condition, either in person or by phone, while the consumer is unconscious. A doctor may not tell a consumer's friend about a past medical problem that is unrelated to the consumer's current condition.